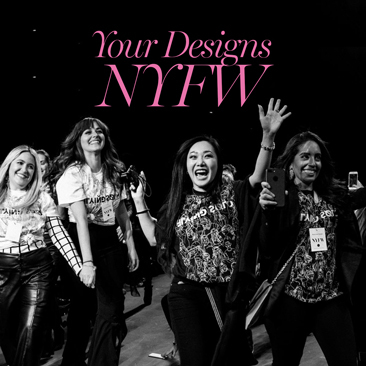 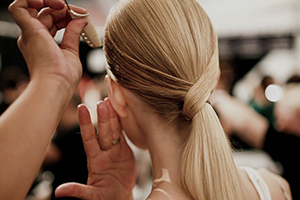 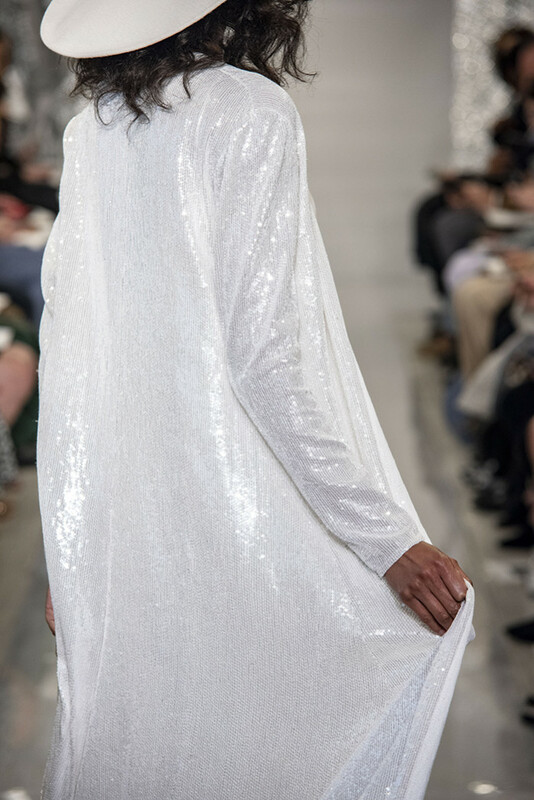 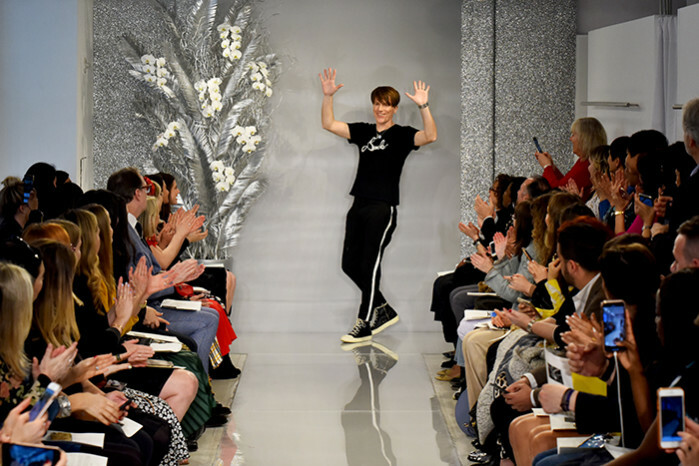 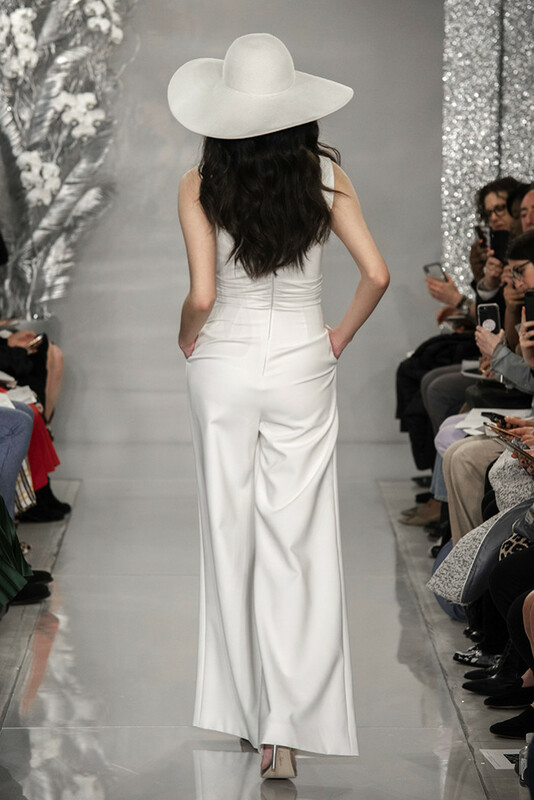 For Spring 2020, THEIA‘s Don O’Neill (@dononeilldesign) looked to the 1970s, gleaning inspiration from icons such as Bianca Jagger and Farrah Fawcett-Majors, as they boogied the night away at the notorious New York City night club, Studio 54. 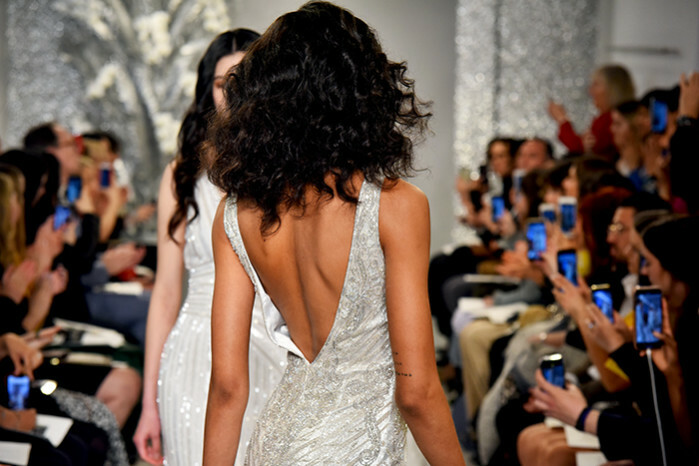 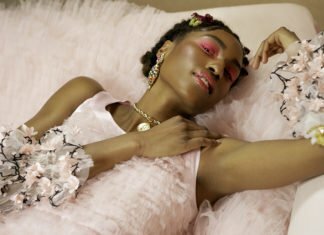 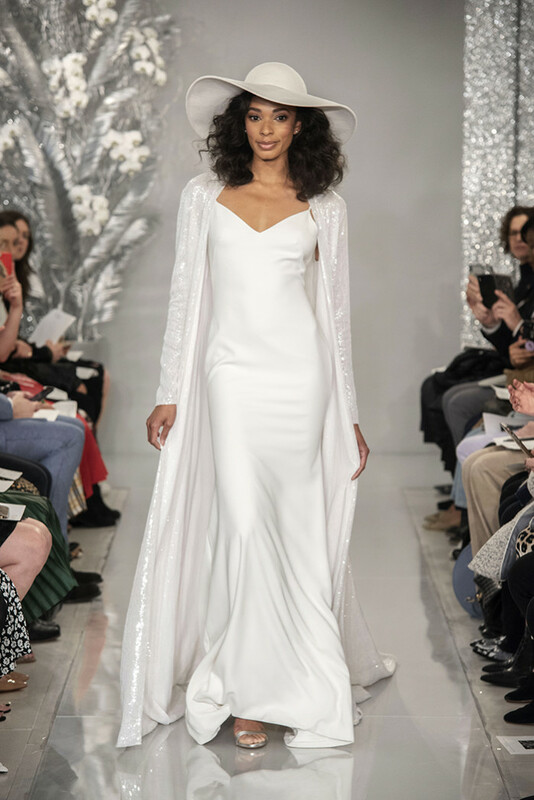 A world of plunging necklines, thigh-high slits, gleaming lames, killer jumpsuits and dresses that dazzled like disco balls, were all reinterpreted for the cool, modern THEIA bride. 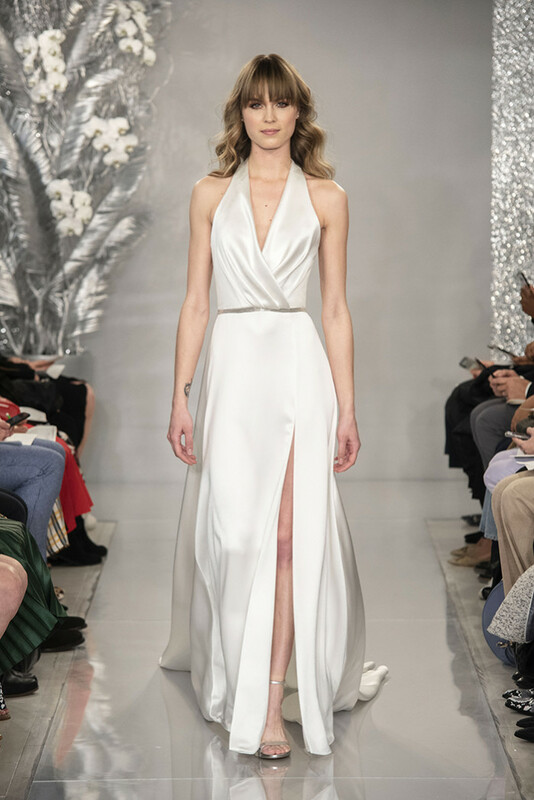 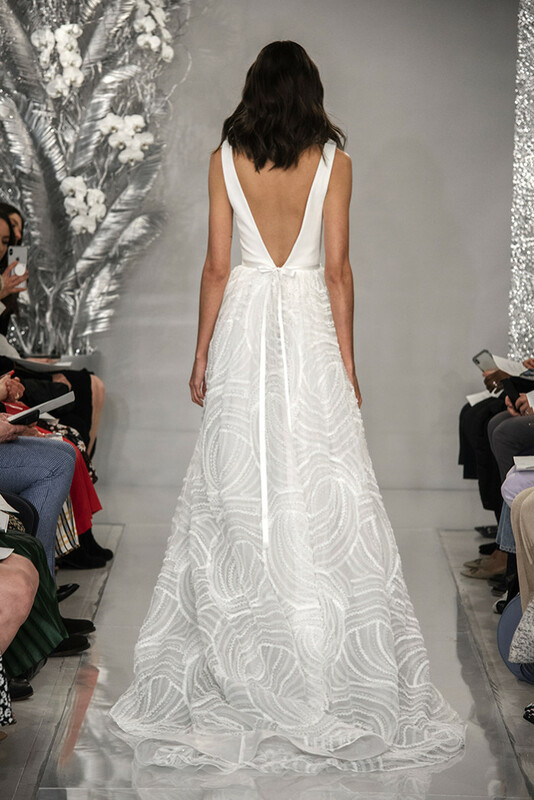 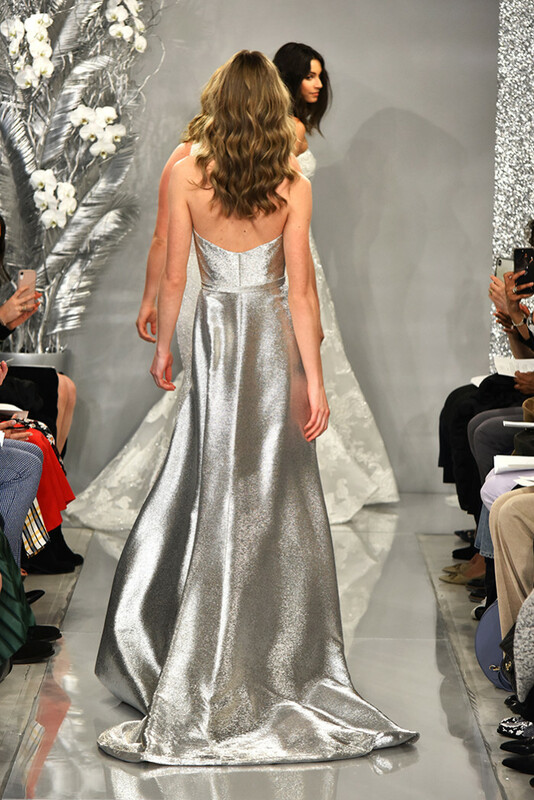 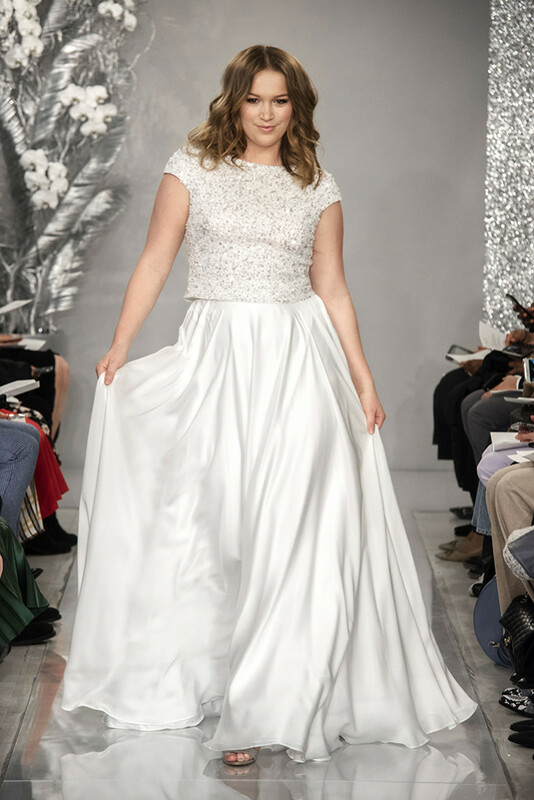 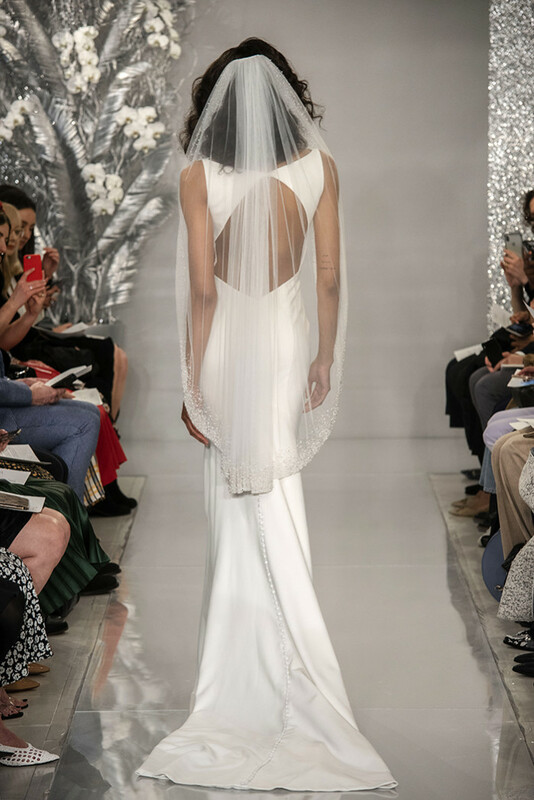 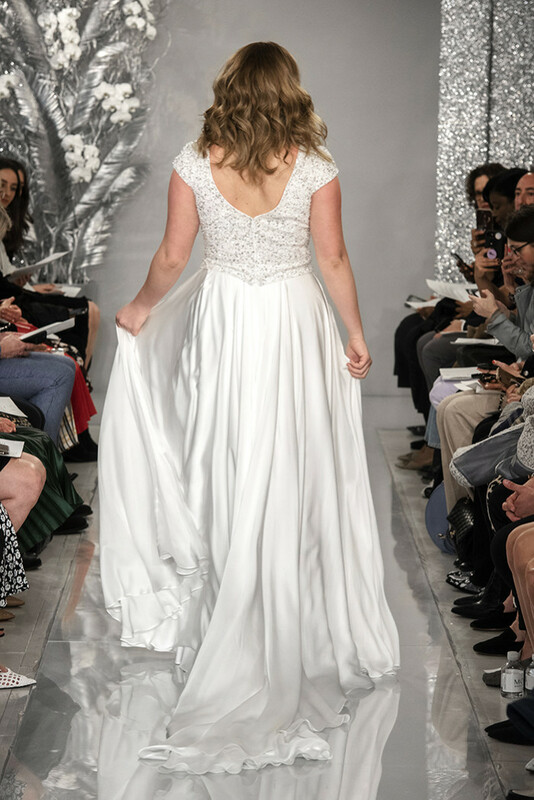 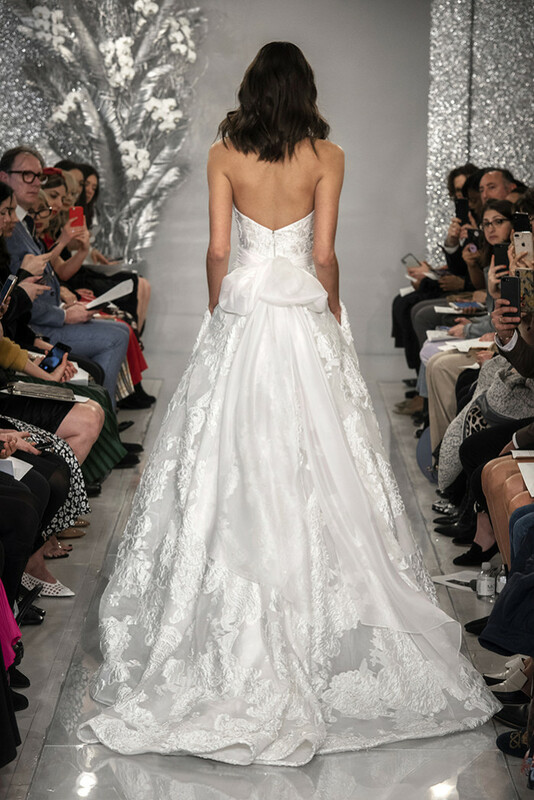 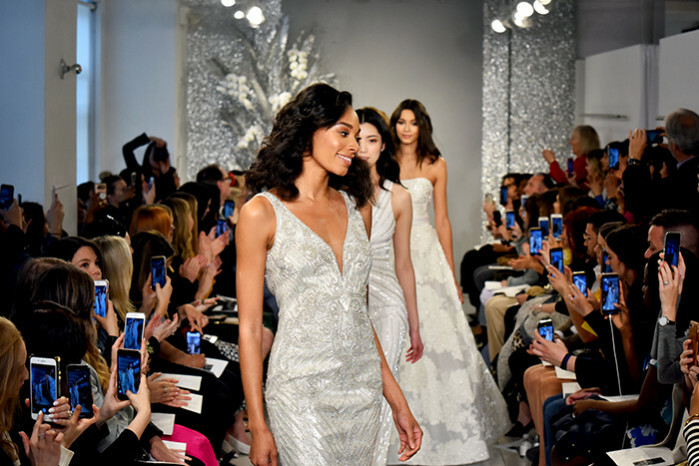 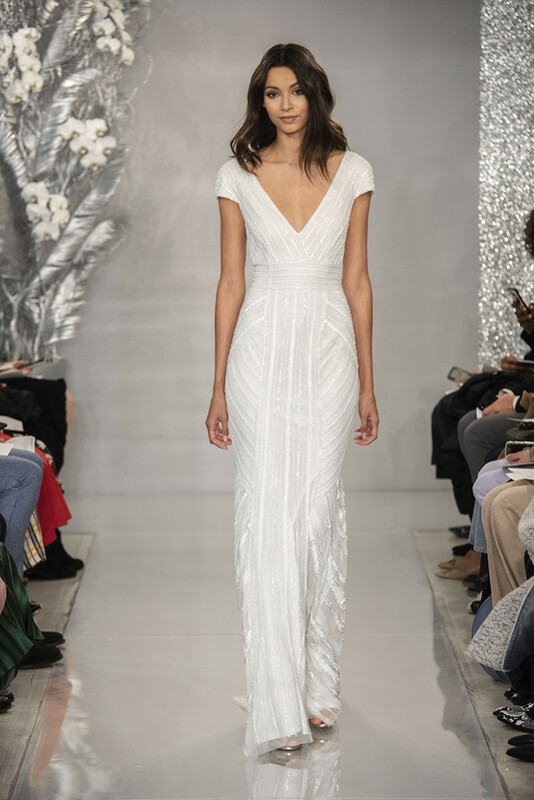 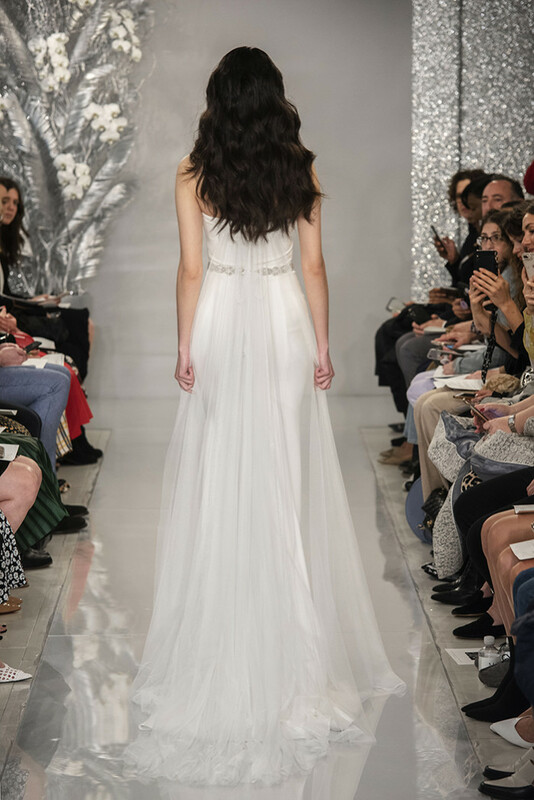 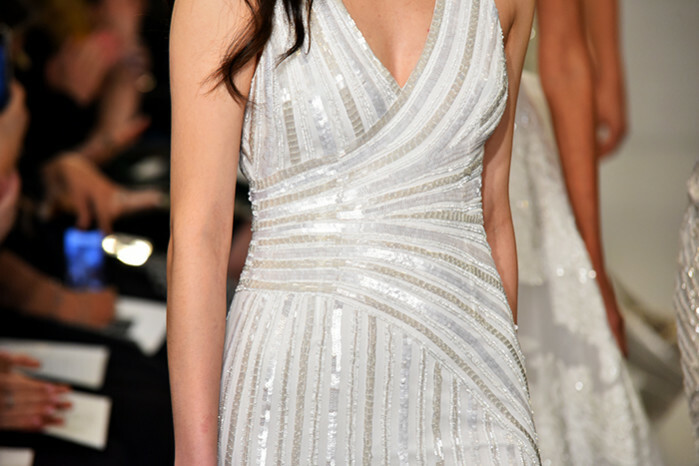 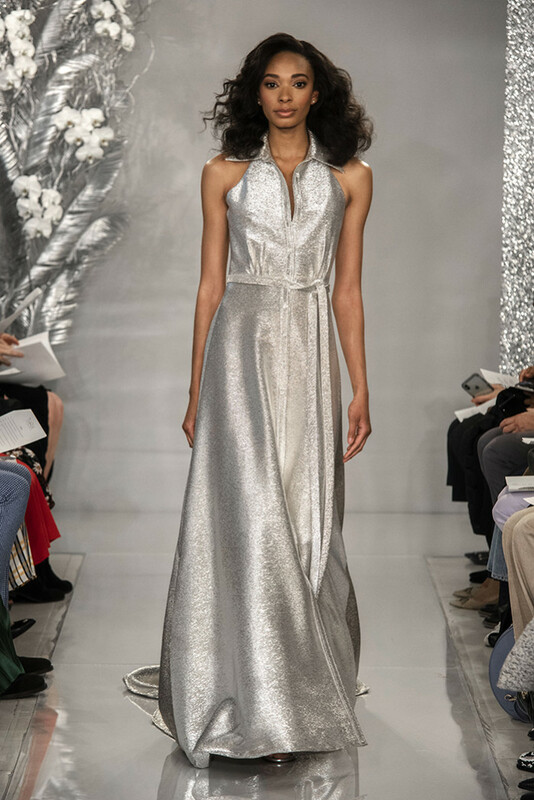 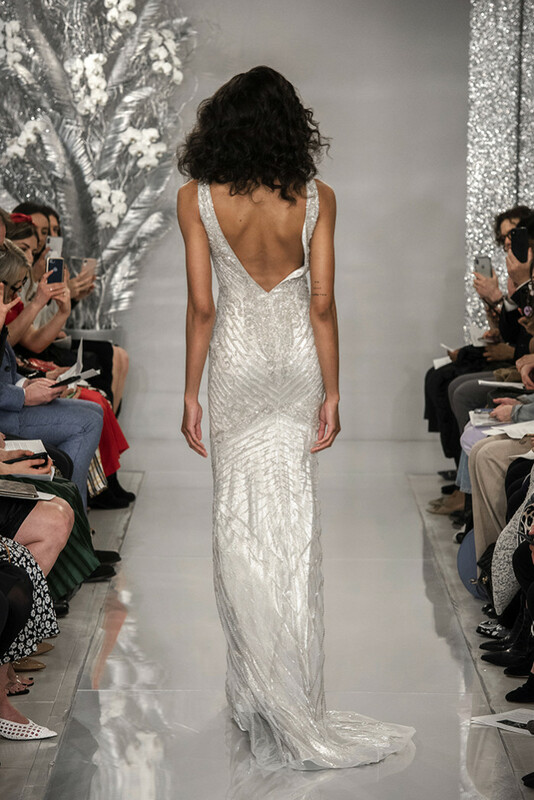 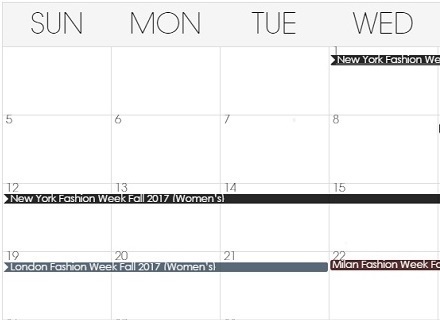 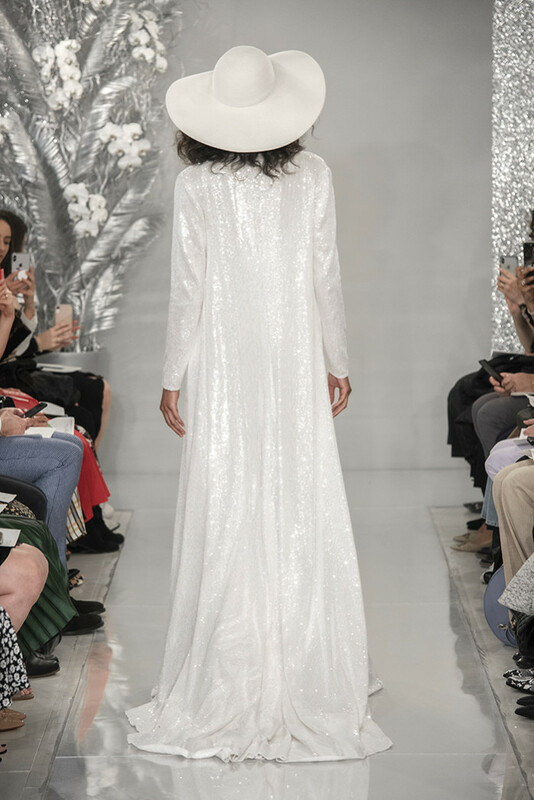 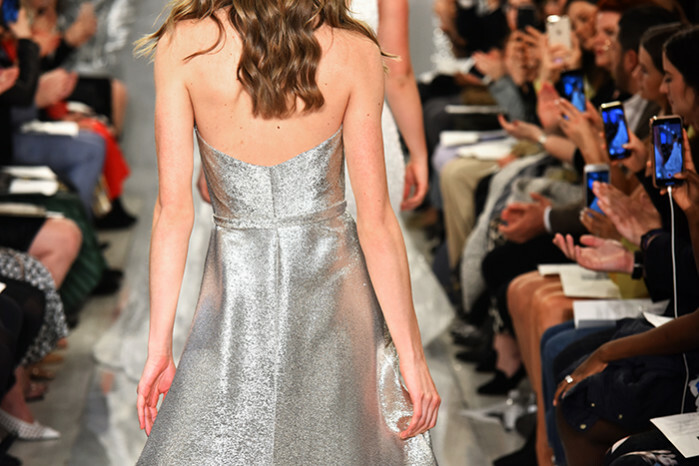 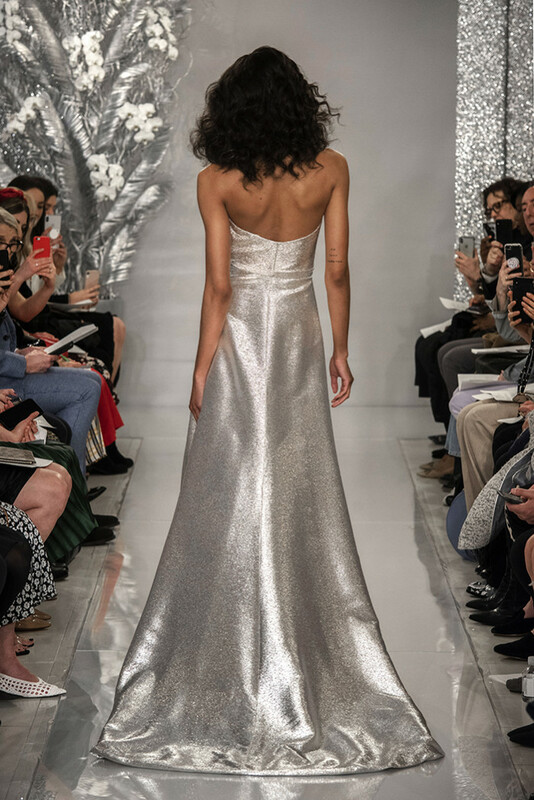 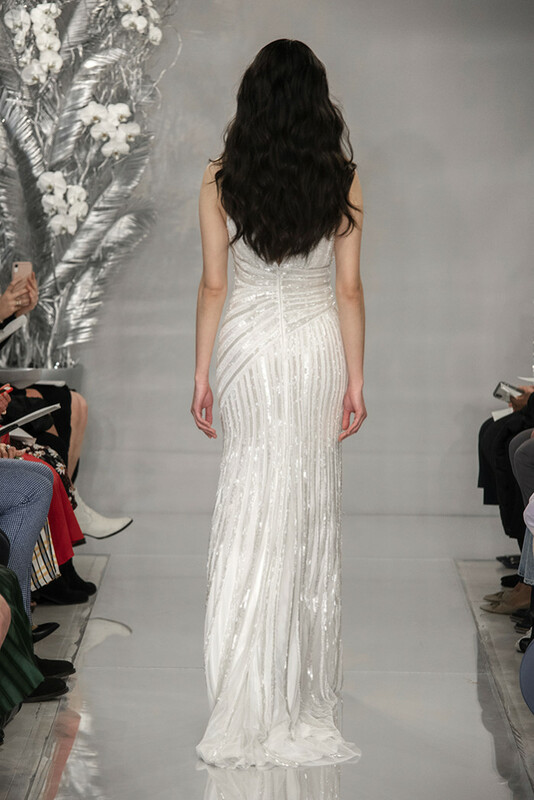 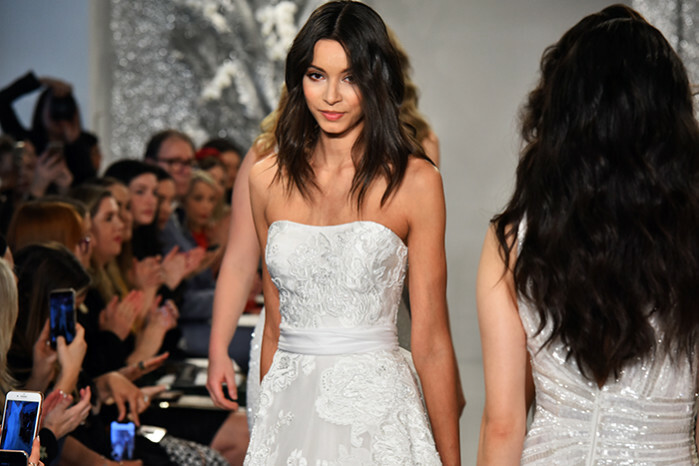 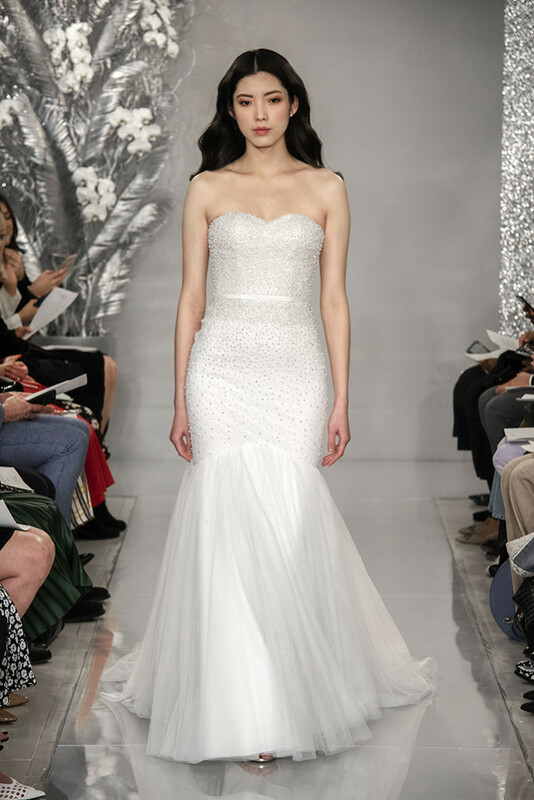 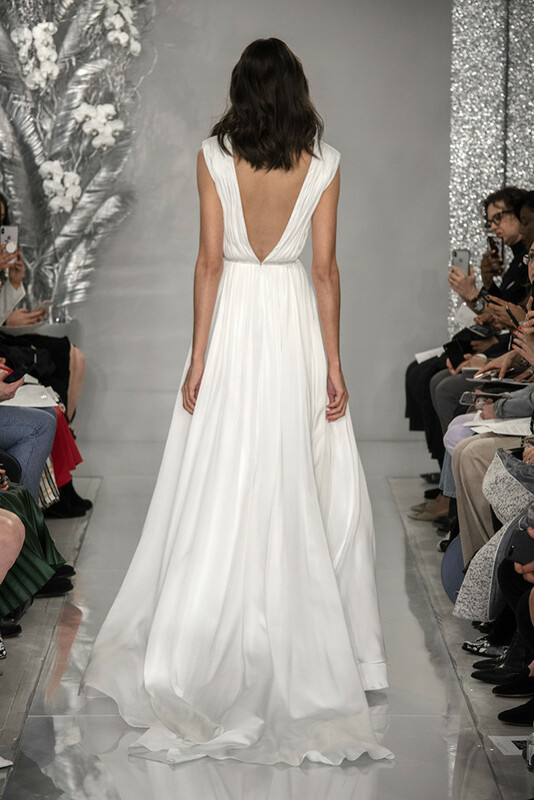 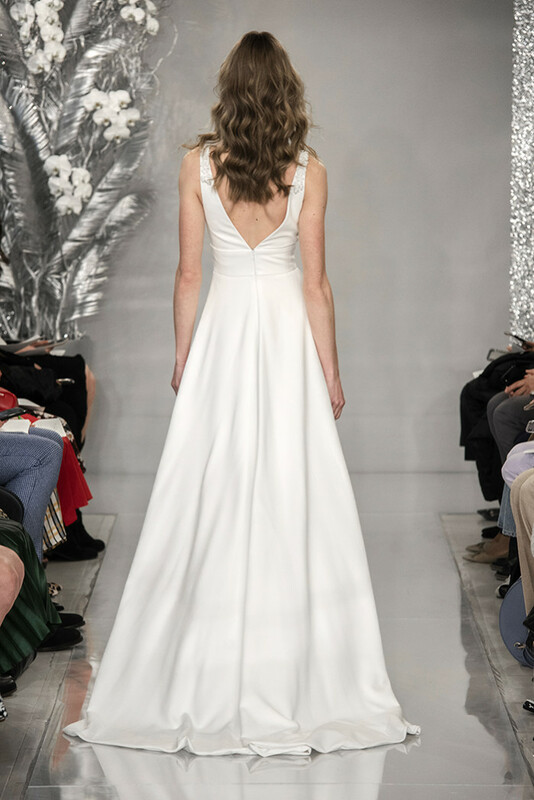 In a beautiful, tasteful, elegant collection, we especially loved the silver, Halston-inspired, wide-collared dress, for the adventurous, fashion-forward bride. 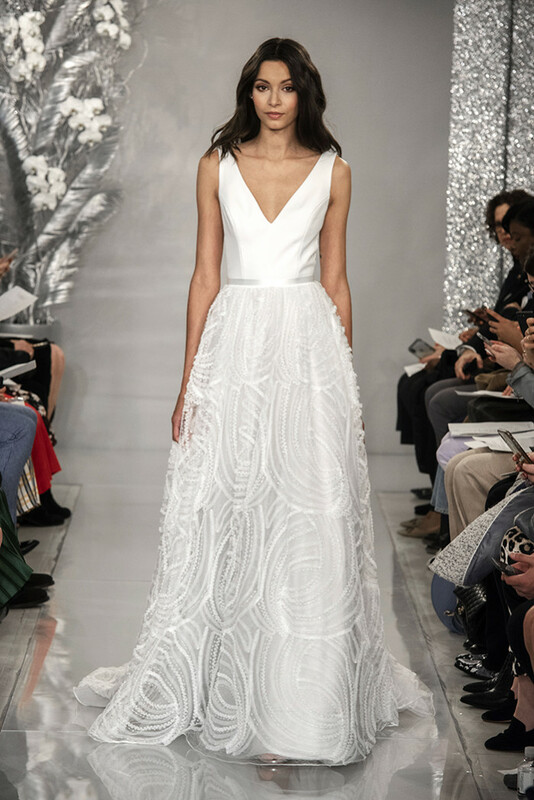 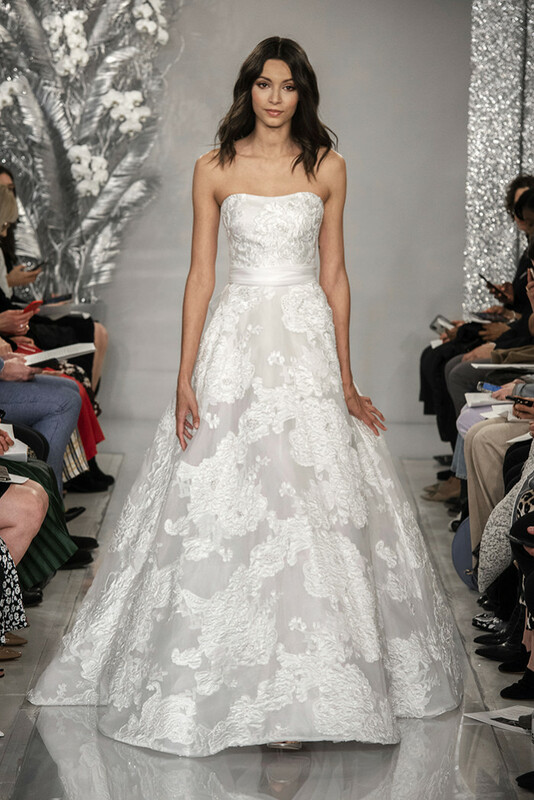 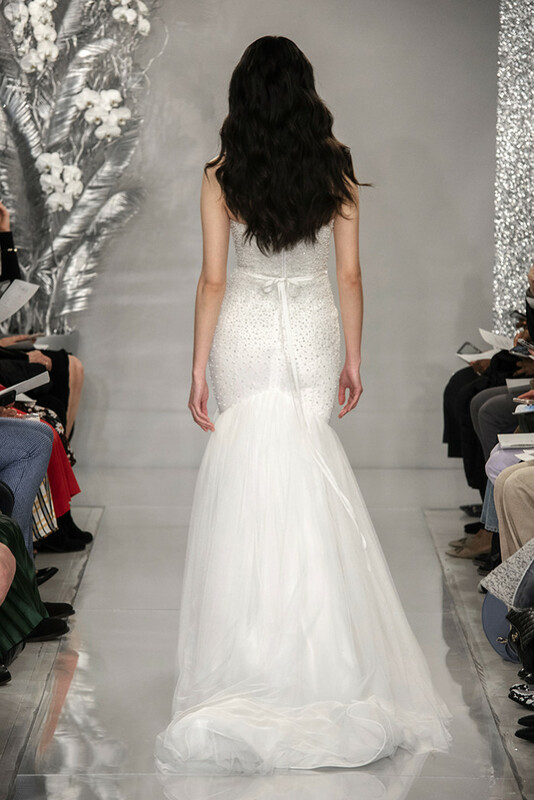 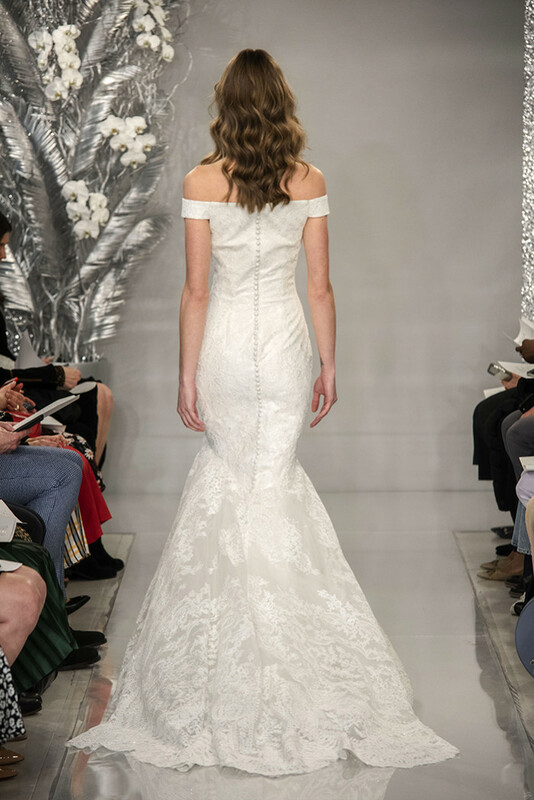 Although THEIA’s clean classic signature crepes continue to be favorites, there are some soft ball gowns for romantics girls, a touch of elegant Alençon lace and hand-beaded gowns destined to become classics. 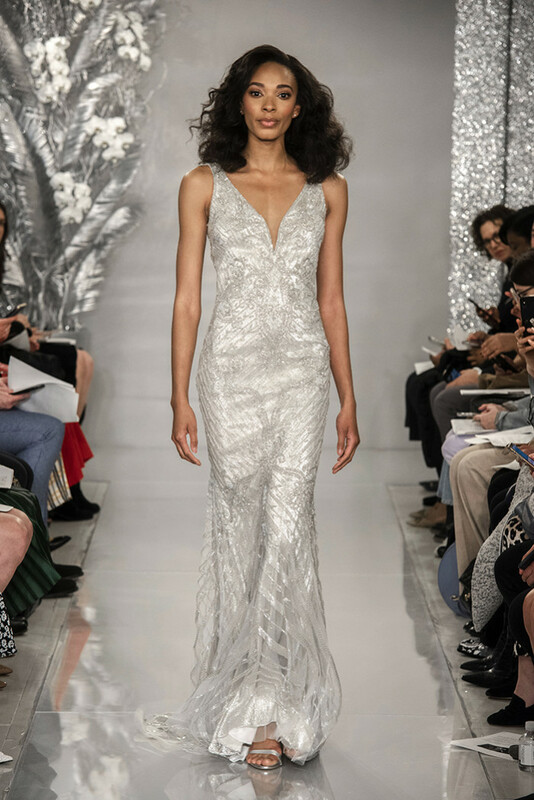 Dazzling, cool, confident and ready to dance the night away, the unstoppable Spring 2020 THEIA bride.